For those of you who live in Nashville, you've probably heard this song because it pops up every twenty minutes on Lightning 100. Maybe it's in similarly heavy rotation everywhere. Regardless, it's a hyper-catchy pop song that deserves a little recognition. 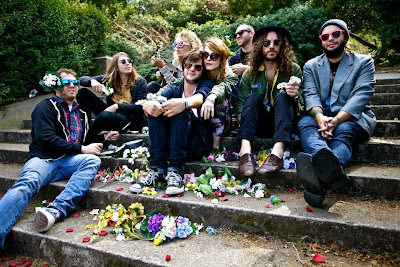 We caught The Mowgli's last night at their free show at The Stone Fox and it was a pretty great burst of pop energy. And we have good news for those who missed that show: they'll be performing for free again today at Live on the Green! We'll see you there for Round 2.